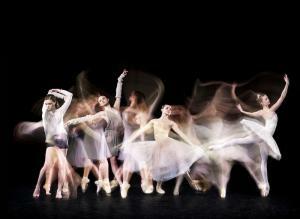 The company that became the New Zealand Ballet took its first steps onstage on June 30, 1953. Sixty years on, we celebrate the company’s rich past and lively present with a series of special film screenings. The Film Archive holds recordings of many Royal New Zealand Ballet performances from the last six decades, as well as documentaries and behind the scenes footage. Two different programmes will be screened over four days, which offer a glimpse into the first sixty years of New Zealand’s national ballet company. All welcome - come and enjoy the magic of ballet. The screenings coincide with a range of events organised by the Royal New Zealand Ballet around the opening weekend (20 - 21 July) of The Vodafone Season of Swan Lake, at the St James Theatre. Our Stars of Ballet (1960) is a short documentary on New Zealand dancers Rowena Jackson and Alexander Grant. The pair achieved fame as stars of The Royal Ballet at London’s Covent Garden, while retaining their strong ties to New Zealand and the New Zealand Ballet. This film sketches their careers and family lives, and ends with onstage sequences short during actual performances. Prismatic Variations (1960) shows the New Zealand Ballet performing the landmark original work of the company’s early years, created by Poul Gnatt and Russell Kerr. Aurora’s Wedding (1980) features the New Zealand Ballet in Act III of The Sleeping Beauty. Jon Trimmer, Dancer (2004) is a documentary about Royal New Zealand Ballet Leading Artist Sir Jon Trimmer, whose continuing career with the company spans almost its entire history. Despite receiving offers to pursue his career outside New Zealand, Sir Jon has remained committed to the RNZB and to performing in New Zealand. This documentary, made when he was 65, looks back on his career, which has encompassed the broadest possible range of classical and character roles and touched the lives of thousands of New Zealanders. Petrouchka in Performance (1993) features the Royal New Zealand Ballet and the New Zealand Symphony Orchestra’s performance of Stravinsky’s Petrouchka. Described by reviewers as "phenomenal" and "a visual feast... exploding with colour and shifting image," this production was a sell-out success. 50 Years On Their Toes (2003) is a dramatic documentary that looks behind the scenes at the Royal New Zealand Ballet. The film, which was produced on the occasion of the company’s 50th birthday, follows the preparations for their 2003 production of Romeo and Juliet. All screenings will take place at The Film Archive, 84 Taranaki St, Wellington.